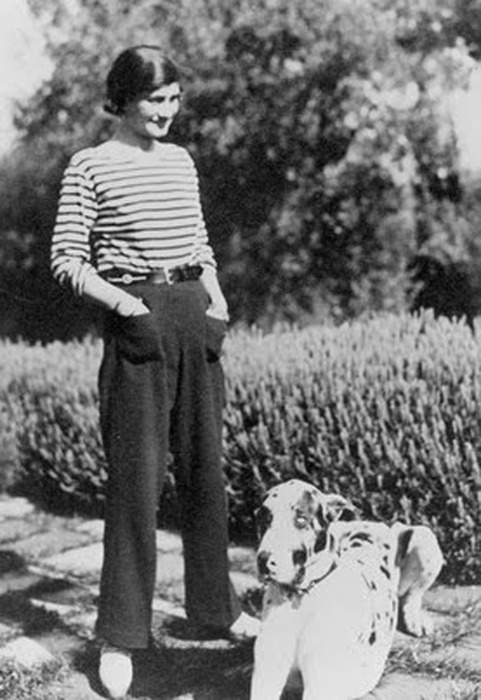 I’ve had a long time love afair with breton tops – the timeless, and quintessentially French, navy and white striped top that was made famous by Coco Chanel. For me, breton tops have always represented the ultimate in effortless chic, especially when worn with dark skinny jeans, tan ballet flats, a flick of mascara and an air of nonchalance. When I look in my wardrobe at the breton upon breton I feel…uninspired. Bored. Over it! Maybe it’s because I can’t find my waist anymore and you really need to be slim to carry off the horizontal stripes, but I have a feeling that the true reason I’ve gone off breton is because I got carried away and overdosed. I have no less than seven items in my wardrobe bearing breton stripes – dresses, tops and jumpers – so it seems that I have unintentionally cornered myself into a fashion rut. So, it’s time for this love affair to come to an end. Breton, we’re done. Do I give all my breton away and start anew or store it in case I want to rekindle our romance after bubs is born?